I'm really interested in sources of inspiration. The things that inspire us and what they inspire us to create. For this "point of inspiration", I'm turning to a page in my own sketchbook! While I prefer to draw from a picture in my head - for better or worse - some days I find myself baffled on what to actually put down on paper. On those days, I turn to the internet for a little inspiration/soul searching. 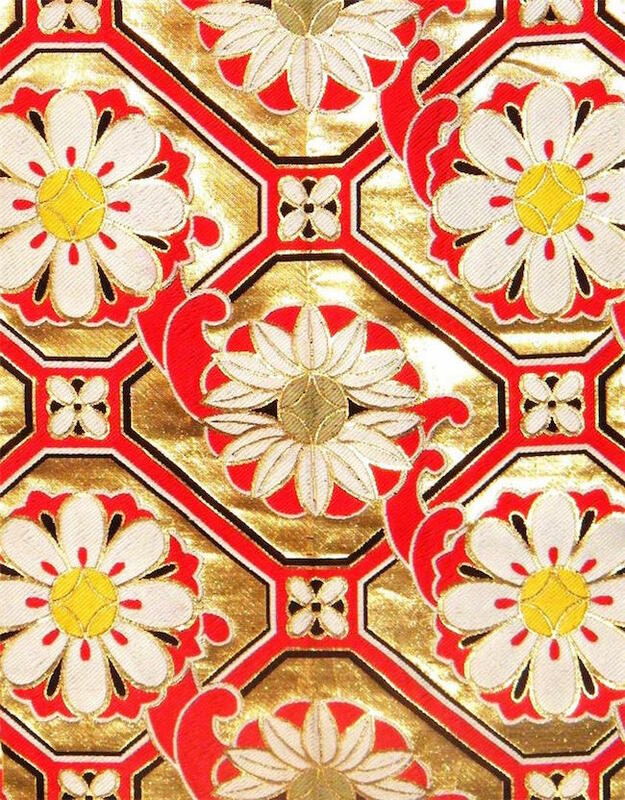 One of my favourite things to do is head over to eBay and browse the vintage textiles. I was drawn to this vintage obi because of the bold colour scheme but also because of the interesting mix of geometric and floral elements. 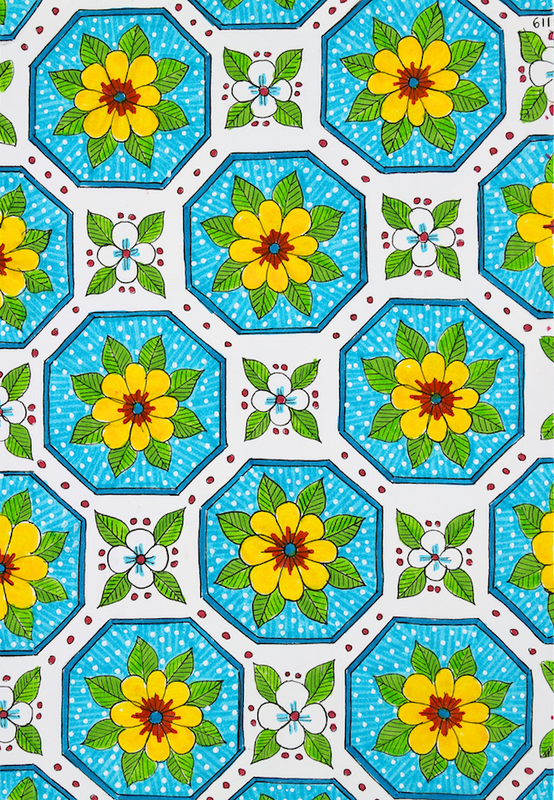 It seemed like a nice jumping off point for a little pattern play. And here's my finished sketchbook piece (on its side - tilt your head to the left to see it as I drew it). You can see where I pulled elements from the original design and how I altered it. While it's fun to try to replicate something you love, it's also nice to take your favourite elements and then head in a slightly different direction. I really like the final pattern though I do wish I'd chosen different colours. That "pink carmine" is shockingly burgundy-ish... live & learn! 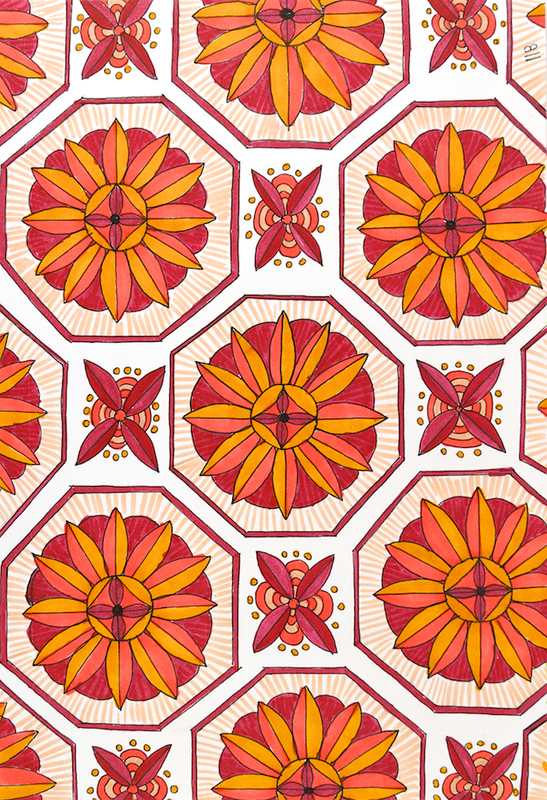 Since I loved the concept but not the colours, I decided to try again, continuing to play with the geometric and floral combo but with some sunnier colours. 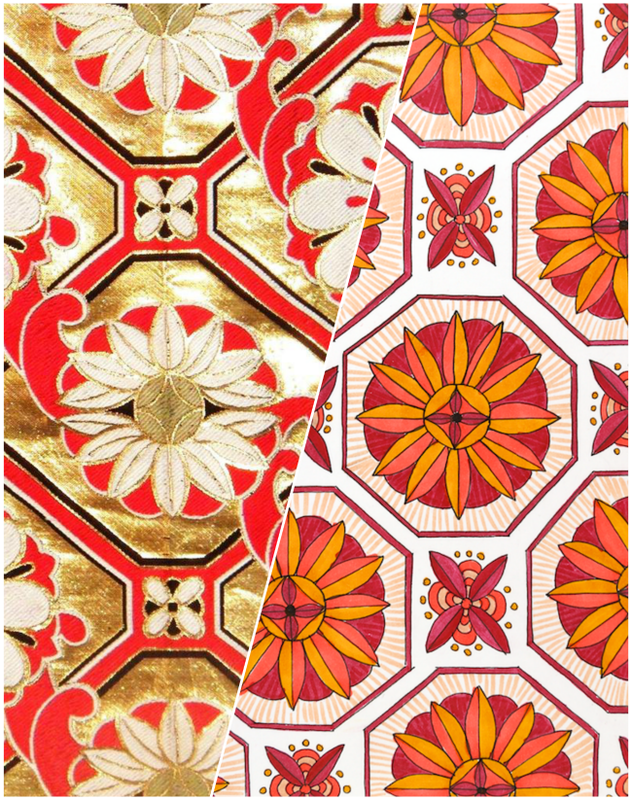 What do you think - vintage tiles or powder room wallpaper? Either way, patterns are my favourite! How about you? Where do you find inspiration?